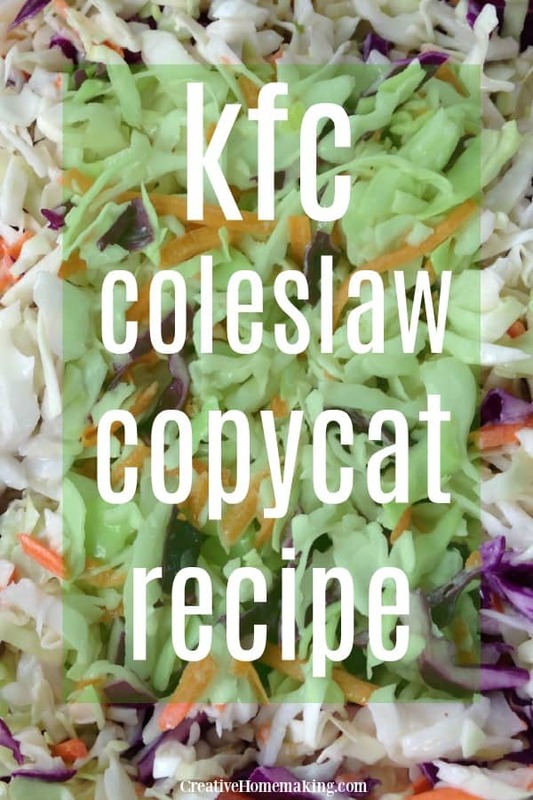 March 28, 2015 0 comments on "KFC Coleslaw Copycat Recipe"
It seems like people either love or hate coleslaw. And who knew that there are so many recipes claiming to be the best coleslaw recipe. Most people who like coleslaw will agree that KFC’s coleslaw is really good, maybe even the best. 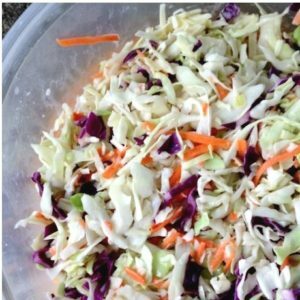 I decided to try to find a recipe that comes close so that we could enjoy good coleslaw at home. Place the shredded cabbage and grated carrots in a large serving bowl. In a smaller bowl, whisk together dressing ingredients, and then pour over cabbage, mixing well. Refrigerate for several hours before serving to give the flavors time to blend. This coleslaw will keep for several days in the refrigerator. This coleslaw is really good. My family enjoyed it and I will definitely be making it again. Note: If you are looking for a dairy free version of this recipe, then substitute 1/2 c. coconut milk or almond milk for the buttermilk and milk in this recipe.